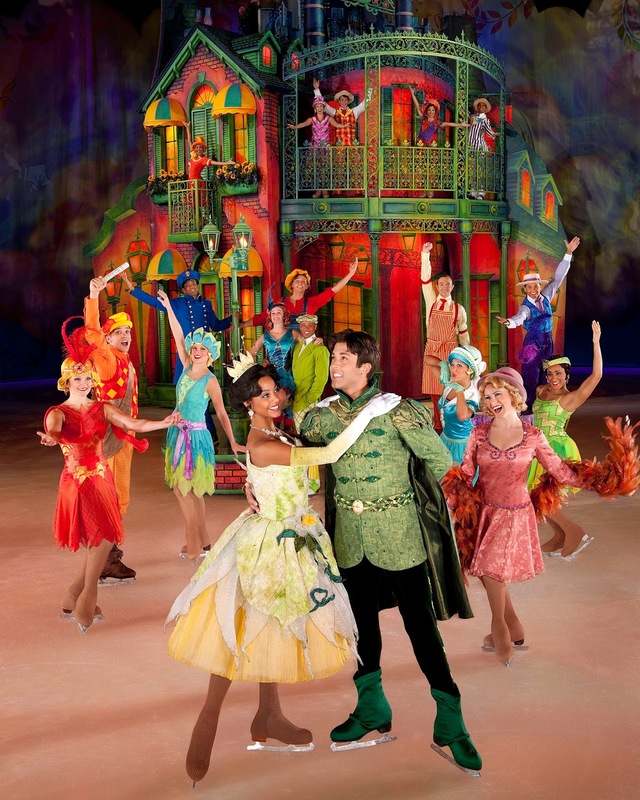 Disney on Ice presents Dare to Dream - Win Tickets for Melbourne Show! 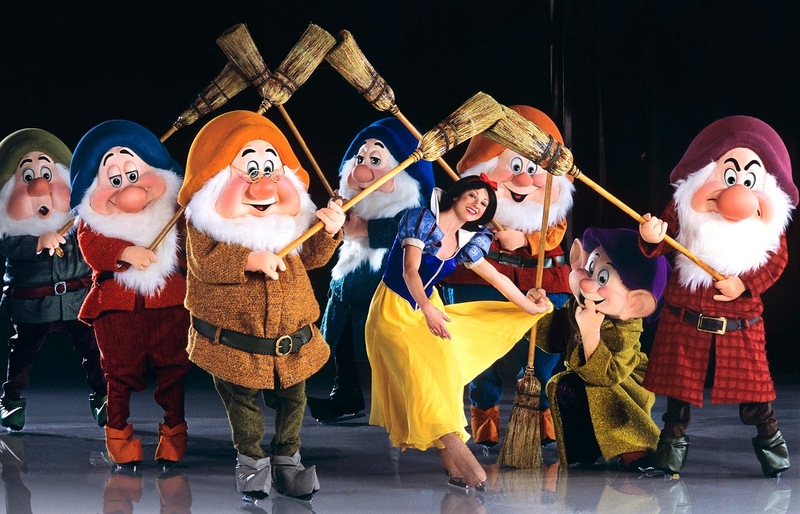 Get excited Melbourne, because it is less than a month til Disney on Ice is back in Melbourne town! I cannot tell you how excited we are, as we missed out last year with Miss C being a tad too little to take along. But this year I have one super excited 3 year old (Mr B) who is finally going to make his dream of going, come true! I am sure that Miss C will love it too, anything involving music is a hit with her at the moment. 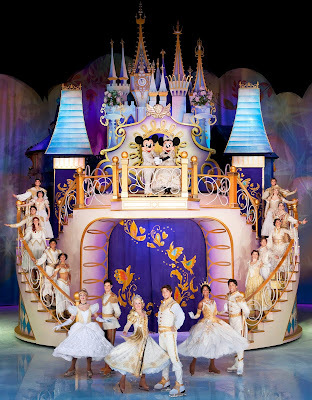 This year Disney presents Dare to Dream which is set to be a skating extravaganza that the while family will adore! The story combines two modern day princess fairytales - Tangled and The Princess and the Frog - and combines with two of the classics- Cinderella (my favourite) and Snow White and the Seven Dwarfs, so you know it is going to be nothing short of amazing! Laugh at Disney's hilarious hair-raising escapade, Tangled, as Rapunzel, Flynn and Maximus, embark on an uproarious journey that takes adventure to new lengths! Travel to the enchanted forest with Snow White and the Seven Dwarfs as Snow White escapes from the Evil Queen in her search for her one true love. 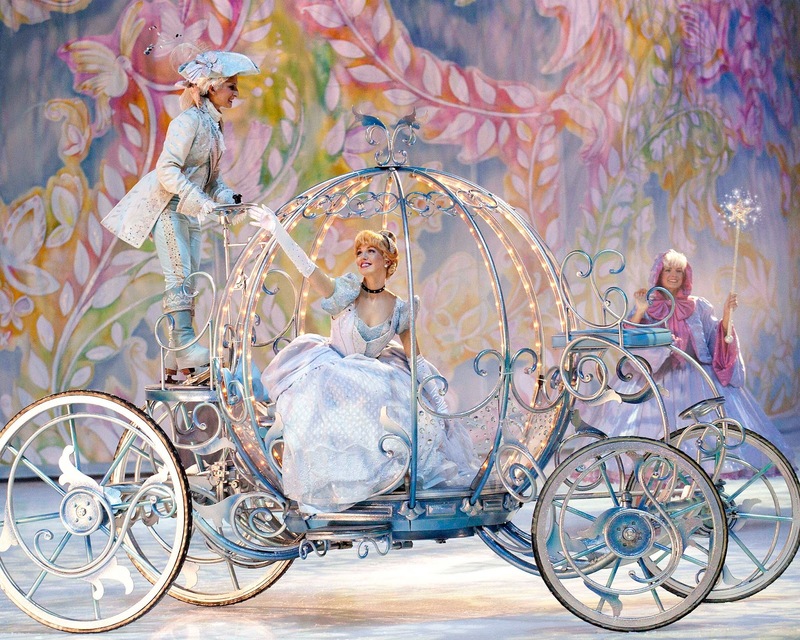 Watch as fanciful dreams become reality as Cinderella meets her Prince Charming, with a glass slipper fit for an unforgettable fantasy come true. 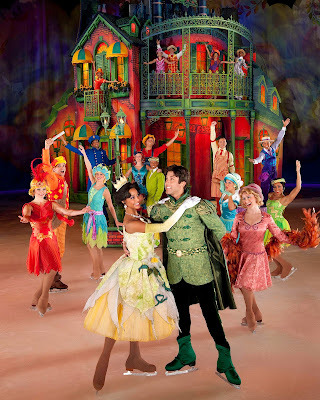 And boogie to the beat of the bayou in a magical, musical journey that celebrates the story of The Princess and the Frog with Princess Tiana and Prince Naveen. I don't now about the kids - but I sure am excited!! Not in Melbourne? Then don't despair, as most capital cities will get to experience the beauty, sparkle and adventure when Disney on Ice presents Dare to Dream in a location close to you! This is where things get even more exciting for the Melbourne folks, because for two lucky Utterly Organised readers, I have 4 tickets (valued at $178) to attend the show on Friday 3rd of July @ 2:30pm. Please note tickets MUST be used on this set date and session time (they are not transferrable on changeable). Please note that entrants MUST provide a comment in the box below as to why they would love to attend this fabulous show. Entries will be verified, so please be sure to pop your name with your comment too. We would love to win these tickets!! My almost 3 year old loves Disney! I am 7mnths pregnant with our second and I have been searching for something special to do with her before babe arrives! Always wanted to take my now nine year old daughter but the show always falls right in the middle of hers, mine and hubbys birthdays all in July so we could never afford it She would be so excited also our 3 year old would love it too, not to mention nanna! 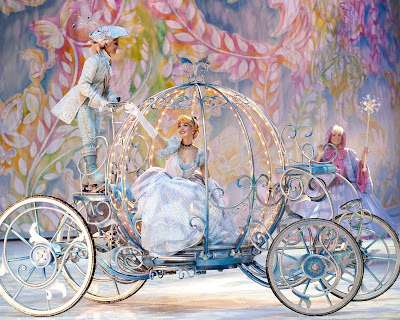 When I was a little girl my Mum and my Nan used to take me to see Disney on Ice. I would love to continue this tradition with my 3yr old (Disney Obsessed) daughter. I know my mum (DD's grandma) and my Nan (DD's great grandmother) would love to come too. I would love to take my 4 yo daughter and her 3yo friend and her Mum. The two little ones are adorable when they get together - such cute little friends and totally OBSESSED with Disney Princesses! I can just imagine their excitement. Please ensure that you include your full name so that entries can be validated - many thanks! I have a 3.5 year old girl who loves Cinderella and Ariel and of course Elsa. She has never been to a show before but loves watching youtube clips of her favorite characters. I think she'd be in heaven if she saw this in real life. I've actually love to win it on behalf of my sister for my two adorable nieces aged 4 and 3. My sister is a single mum after fleeing an abusive relationship and she works hard to make a future for herself and the girls. They all deserve to have a fun day together. Thank you for the opportunity. Oops sorry, my full name is Michelle Vamvas. Thank you! About 10 years ago I was lucky enough to visit Disneyland (Paris), It is without doubt a truly magical place and something I will never forget. I now have three Children and would love them to experience that unique magic, We could never go to Disneyland, but to bring Disney to them would be amazing. My son turns 6 on the 4th of July, reckon that would be a birthday NEVER to be forgotten. To fuel my kids dreams into adulthood and beyond (Ern). Princess Tiana always said "The only way to get what you want in this world is through hard work" and it's definitely hard work trying to think of why we would like to go to this fantastic show other than wanting to see the priceless look on our own princesses faces. This would be awesome to take my little Miss 4 to. She loves all things Disney! The Other Year We Loved the Show with Mice! Extravagant Costume & Talent, Wouldn't it Be Nice? I have two eager 3 year olds that would LOVE to see DISNEY DARE TO DREAM! Every time my daughter see an ad for Disney On Ice her face lights up and she asks "can we go Mummy", I'd love to say YES! We love both fairy tales and ice skating in this family. What a great combination.